Dance classes for 3 and 4 year olds! Do you have not quite 3 year old? 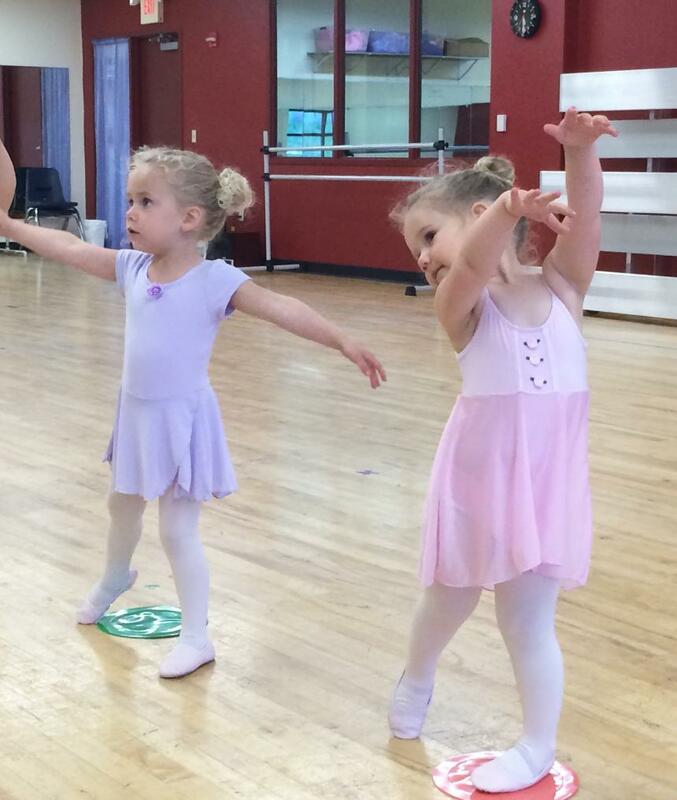 Check out our Tiny Dancers program! Does your little one love to twirl, leap, hop, play make-believe and dress-up? He or she would love our Leap 'N Learn classes! 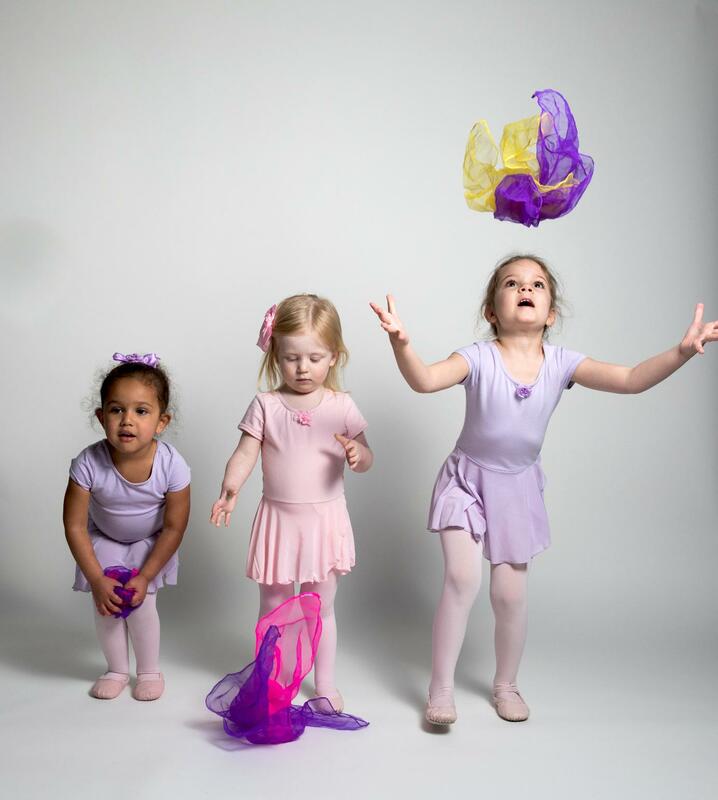 A magical introduction to ballet training in an developmentally appropriate and inclusive way. Why choose LEAP 'N Learn? Leap 'N Learn classes in the early childhood program are grouped into age-specific levels for three- to five-year-olds, with the content based on age-appropriate developmental skills. Class Times To Fit Your Schedule: Classes available weekday mornings and afternoons as well as Saturday mornings. Unlimited Make-Up Classes: Flexible around illnesses & vacations. Caring Instructors who can't WAIT to share their love for dance with your little one! Imaginative Themed Classes. New themes every session. Parent Performance at the end of each session. Family-Friendly Environment. Comfortable waiting area, free wifi and viewing windows so parents can watch the fun! All-Inclusive Tuition. No other expenses outside of your session fee ever! Imagine your child dashing out of class excited to share what she learned that day and show off her hard-earned sticker! Then, watch them beam with pride as they perform for you during Parent Performance Week! Our Program is based around 11 or 12 week sessions (shorter sessions during the summer)that incorporate several different themes each session. The final week of each session is "Parent Performance Week" where parents are invited into the classroom for a full demonstration of everything we've learned over the session. Fees are $160/174 per 11/12-week session . ​​We offer unlimited make-up classes within each session to allow flexibility around vacations and illnesses. Registration opens about 6 weeks before the start of a new session. Current students are given preference to keep their spots. Click on the Register button to get to our registration page. Choose the correct season, e.g. "Spring 2018 - Ages 2.5, 3, 4" and then your preferred class time from the schedule. Risk-Free New Student Guarantee: If you decide the class isn't a good fit, you can request a refund for the remainder of the session up through the thirdweek of the session. Can I bring my child to a trial class? Our classes often fill up and bringing in a trial student is not fair to the students who are already enrolled and have gotten used to each others and the class structure. Please register and then, if it turns out that the class is not a good fit for your child, take advantage of our Risk-Free New Student Guarantee (see above). Girls: Pink or lilac leotard with attached skirt, tights and ballet slippers. For your convenience we sell a uniform package for $40, which you can purchase online when registering. Items are also available individually. If you already own a different leotard, your dancer is welcome to wear that. Boys: Black shorts or pants, white t-shirt and black ballet slippers. Ballet slippers are available for $18 at our office or can be purchased through our website.